Former R.O.C. 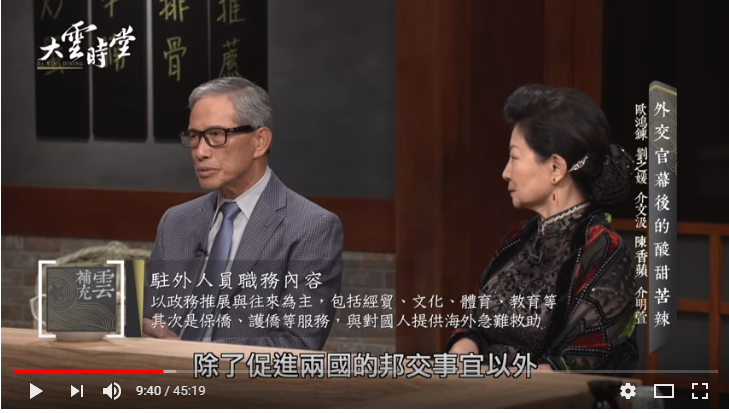 foreign minister and founding chairman of the Association of Foreign Relations Ambassador Francisco H. L. OU and Mrs. OU (Mrs. LIU Chih-Yuan) & former R.O.C. 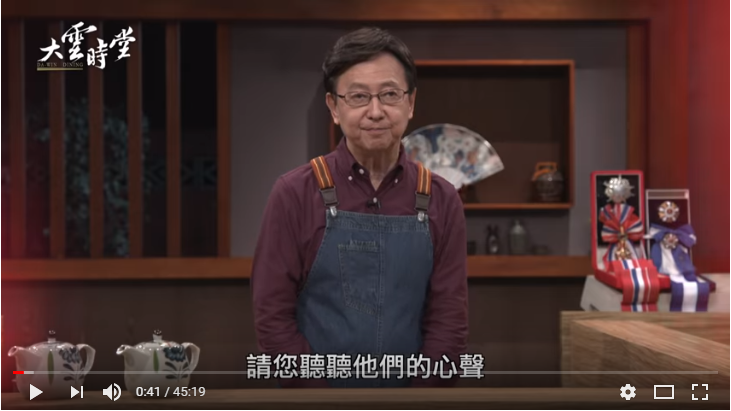 representative to New Zealand Ambassador Wen-Chieh Dale JIEH, Mrs. JIEH (Mrs. CHEN Hsiang-Pin) and Ms. Ming-Hsuan JIEH join to speak on the sweets and bitters of being an R.O.C. 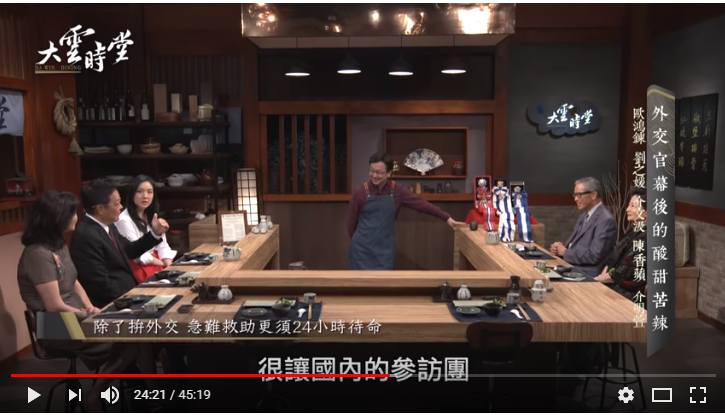 diplomat on “Da Yun Shih Tang (大雲時堂)” of WIN TV to be hosted by renowned news anchor Mr. LEE Sy-Duan and aired on November 1, 2018.